I am planning on doing a complete rewiring. Can anyone share their experience on what kind of connectors would work best? On eBay there is a load of nice looking water proof connectors from China but I am not sure if they are any good. Also, I have no clue what kind of crimper would they use. Should I then use DEUTSCH type connectors, which I think are sure thing, and get a DEUTSCH crimper? That at least would give me assurance that the crimper would work for them. Would a DEUTSCH crimper also work for these Chinese connectors? ... and the last question - what is the gauge of the wires they use in 2005 iron barrel? The beaver has a variety of waterproof and none water proof components. As for wire gauge, that is up in the air too. For my Bullet I use 14 or 16 gauge for most components. The alternator components I use 12 gauge. I have seen some wire bundles from Hitchcock's that are mostly 18 gauge wire. Here is the kind of crimper I used when I worked (now retired), using it several times a day for 19 years, never a bad crimp. I still own and use it several times a month. I began with these vintage-style brass terminals and the ratcheting crimp tool which is a fantastic value at $40. I ended up going to Weatherpack connectors and the crimp tool from diyautotune.com when I started wanting to do terminal blocks. Bulky and modern but I hid them under the tank mostly. Tool is expensive but makes a great crimp. You'll want the terminal tools as well. I'd use the adhesive, high-shrink-ratio heatshrink tubing on each non-Weatherpack terminal myself. For wiring gauge, you have a choice depending on how you design the harness. 16ga is generally acceptable for near anything, but if you are comfortable with narrower gauge wires, 18-20 is great for relay leads and 14ga or 16ga for the runs to lights, horn, or anything else with a greater load. fuse box designs. The Motogadget M-gadget is the ultimate in simplified wiring, including internal relays and all, but it's over $300 and seems way overkill on a simple vintage bike. 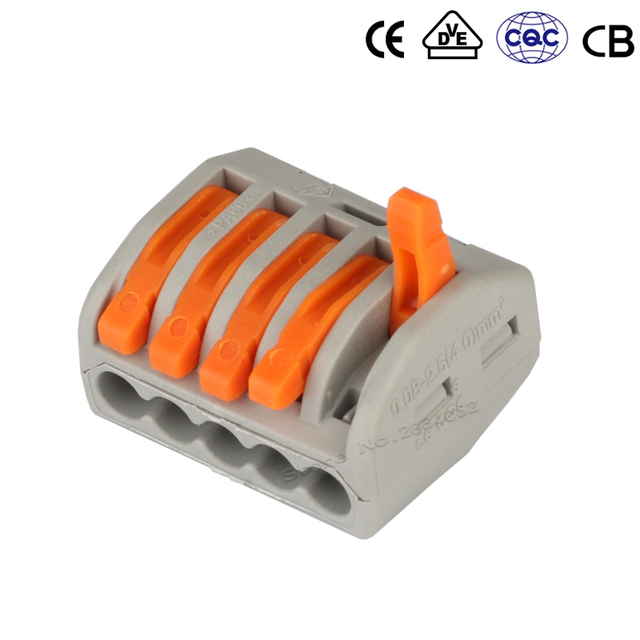 I use genuine ABIKO connectors (there are other quality connector manufacturers also) and those ratcheting crimpers. There are lots of those chinese copy connectors whitch look almost the same but they aren't. I have been ordering from Cycle Terminal and have at least two each of the bullet connector kits, multiple pin kits, terminal removal tools, and a crimping tool. I've been quite satisfied with the quality and ease of use. I just discovered and ordered a the Round Pin Removal Tool Set from CT, as I can use it at work and home. One thing I forgot to mention is to get the fuse that is the correct amps rating. If you remember, I had a situation where a 30 fuse was somehow put into my bullet's system, when the wire shorted in the taillight housing, it melted through the entire length of the 18 gauge insulation from ignition switch to tail light. So, my recommendation of 14-16 gauge wire is for a 15 amp fuse. A dead short will pull less than 30 amps causing the insulation to melt away, before the fuse will blow. Honestly, is anything pulling over 10 amps? I'm running a 10a fuse and it's fine; that said I have no turn signals or pilot lights. How many Amps?? ?.......I don't know for sure, but my factory wire diagram for the "99 shows a 15 fuse. How the 30 amp fuse got in my bike is anyone's guess. Thank you for all the info. Now I am going to study all of it and decide for something. Thank you mrunderhill1975 for pointing the fuse value. Mine used to be ES and the 30A fuse is still there and it would probably stay that way. P.S. Are there any 2 way inline standard blade fuse holders available? I think I need 2 way to be able to keep one spare fuse. I tried to google it but I could not find any. It is either 1 way or 4 way. I found these but there is no room for a spare. Maybe I just should buy two of them and use the other as spare fuse holder? I would very much use the standard auto fuse as these they sell at every gas station. Inline blade fuse holders are available all over the place. I replaced the glass fuses on my '08 years ago with blade type. Just Google "inline blade fuse holder". I bought a Hozan P707 crimper from Amazon, and a variety of terminals from Cycleterminal. I'm happy with all of it. I've used the regular bullet, blade, and ring terminals, also some deustch and amp style with the crimper so far. I'll second the recommendation of using marine wire, much nicer for motorcycle work than the stuff you get at the auto parts shop. I am not sure how it works. Would this device connect together all wires that are inserted into it? Would I be able to connect e.g. +12V to one and thus have +12V on the other four?